Woodside Grove is located on the western side of the development and comprises 33 homes, including 23 age restricted apartments and three duplex apartments arranged over three blocks, along with seven non-age restricted terraced houses. All homes at Woodside Grove are surrounded by extensive, mature grounds, giving them beautiful, green views. All homes are finished to a high specification and the architectural elements of each home have been carefully considered. The beautiful, highly specified apartments at Woodside Grove are distributed across three blocks: Clarke House, Blomfield House and Willmott House and include one bedroom, two bedroom, three bedroom and duplex homes. They are exclusively available to over 55’s. Each apartment has been thoughtfully and individually designed, with the architecture achieving a unique ‘villa’ look across the blocks of apartments. 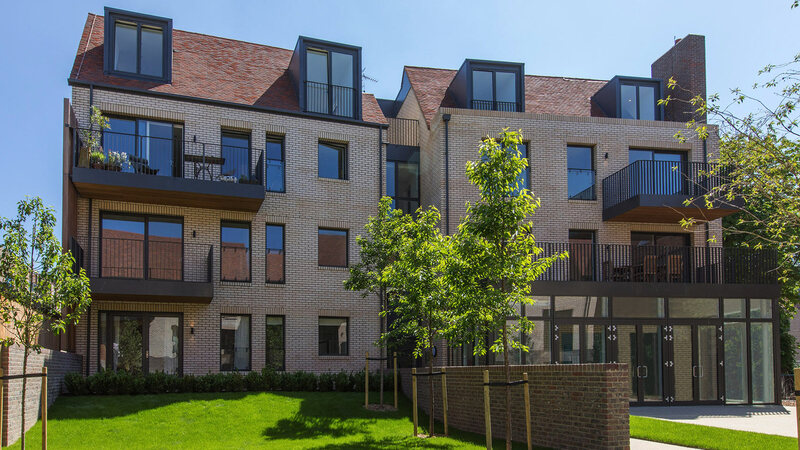 Outside space is included with each home, allowing maximum enjoyment of the beautiful landscaped surroundings, including the raised beds for the use of all residents at Woodside Squares. Situated on the ground floor of Clarke House is the ‘common house’ which will be available to hire at a discounted rate for residents of Woodside Square, as well as being available for public hire for activities, functions and meetings. The common house will also contain a fully furnished guest room with double bed and shower room that can be hired by residents for family and other guests. All residents at Woodside Square will also benefit from on-site concierge services. The Houses at Woodside Grove comprise 7 stunning 3 bedroom townhouses. They are not age restricted. 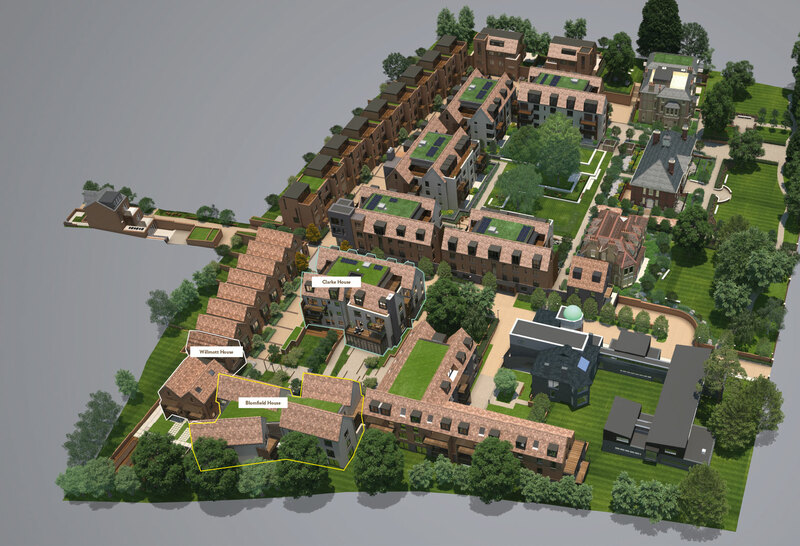 Each home benefits from a high specification and beautiful landscaped garden, maximising the rich green surroundings of the wider development.